user warning: Expression #1 of ORDER BY clause is not in SELECT list, references column 'hotkilns_live.n.created' which is not in SELECT list; this is incompatible with DISTINCT query: SELECT DISTINCT n.nid, n.vid, n.title FROM content_field_videos_features nr INNER JOIN node n ON n.vid = nr.vid AND n.status = 1 INNER JOIN node_access na ON na.nid = n.nid WHERE (na.grant_view >= 1 AND ((na.gid = 0 AND na.realm = 'all') OR (na.gid = 0 AND na.realm = 'content_access_author') OR (na.gid = 1 AND na.realm = 'content_access_rid'))) AND ( nr.field_videos_features_nid = 1675 )ORDER BY n.created DESC in /home/hotkilns/public_html/sites/all/modules/nodereferrer/nodereferrer.module on line 428. 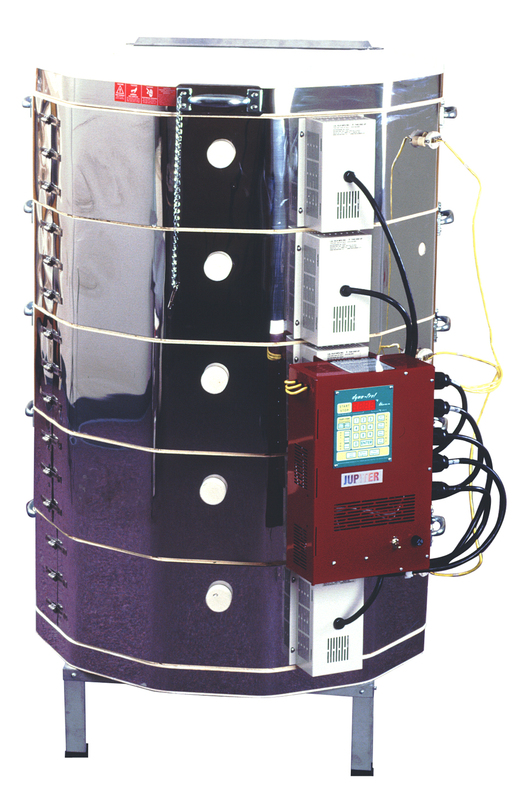 Sectional kiln construction make Jupiter kilns easy to move, set up and disassemble for maintenance or for loading. Sections are completely separate from the control panel. Each section has its own plug that plugs into a special receptacle in the control panel. This makes it easy to disconnect the control panel and send it to the factory for expert service if ever necessary. 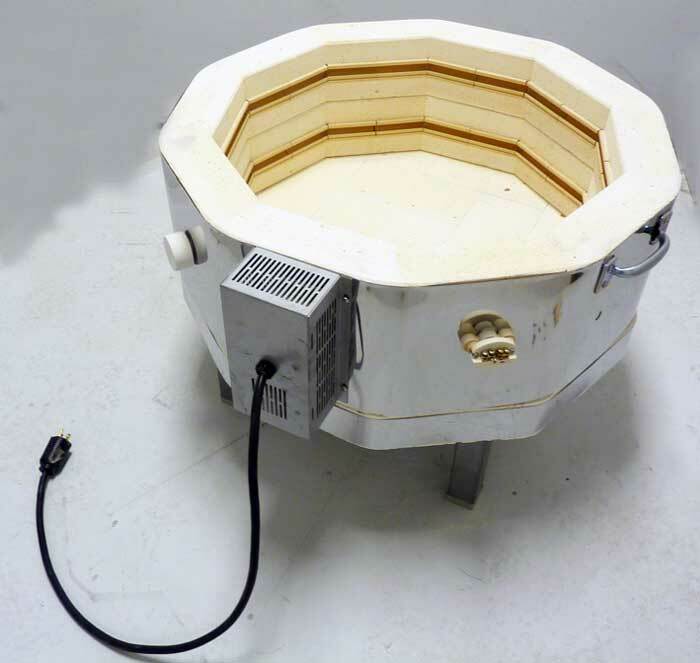 Because of this unusual ease of assembling and disassembling Jupiter kilns some people have used this feature to expand or contract firing capacity as needed. This can be useful for firing small loads while still maintaining a larger firing capacity. It can also be useful for loading the kiln. This can still be done but there are some considerations to be aware of. 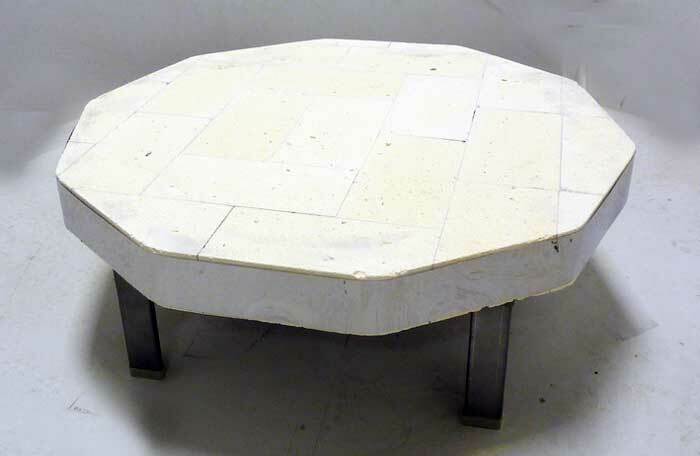 The 22-1/2", 23-1/2", 28" & 29" diameter Jupiter kilns (10-sided and 12-sided) all come with the standard spring loaded counterbalance system. This attaches to either three rings or two rings and the kiln bottom. If you do want to adjust the size of the kiln you will need to remove the hinge (not too difficult). To get around the above issues we offer a variation in our Jupiter line, which is meant just for those people who definitely want to assembly and dissemble their kilns often. 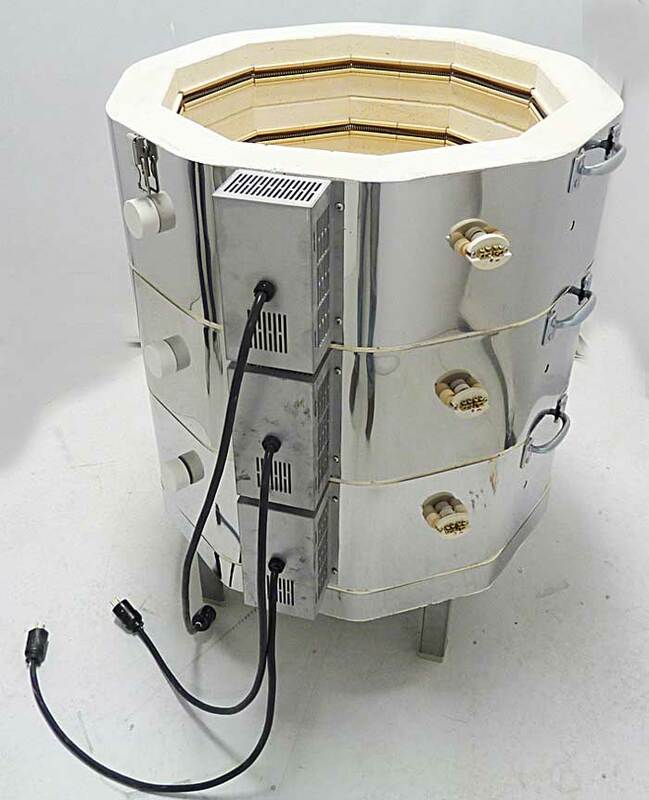 This option consists of not putting a hinge on the kiln at all, having four handles on the top, and mounting the control panel on a floor stand like we do on the DaVinci control panels. The sections are not tied together. We provide 45” long cords on all the sections. There is no charge for this option. See the Pull-Apart Series for more information. The DynaTrol is easily programmable to allow for one two or three zone operation. 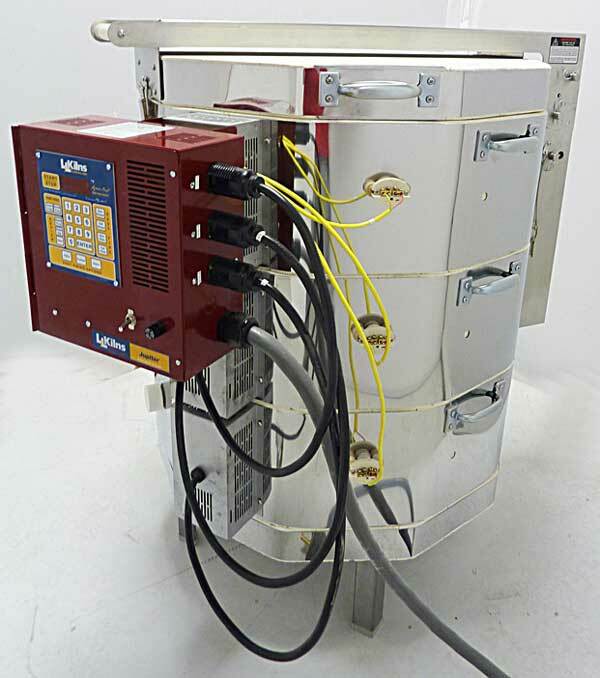 So if you had a three section kiln and wanted to fire the kiln as a two sections you would simply plug the two sections into two of the receptacles on the panel and program the DynaTrol for two-zone operation. On a manual kiln you simple don’t turn on any of the circuits you are not using. If you anticipate making the kiln larger, you should special order a larger control panel (with the proper number of zones). You can see the price differential between a panel with different numbers of circuits in our parts list. The differential between the two panels is added to the price of the new kiln. 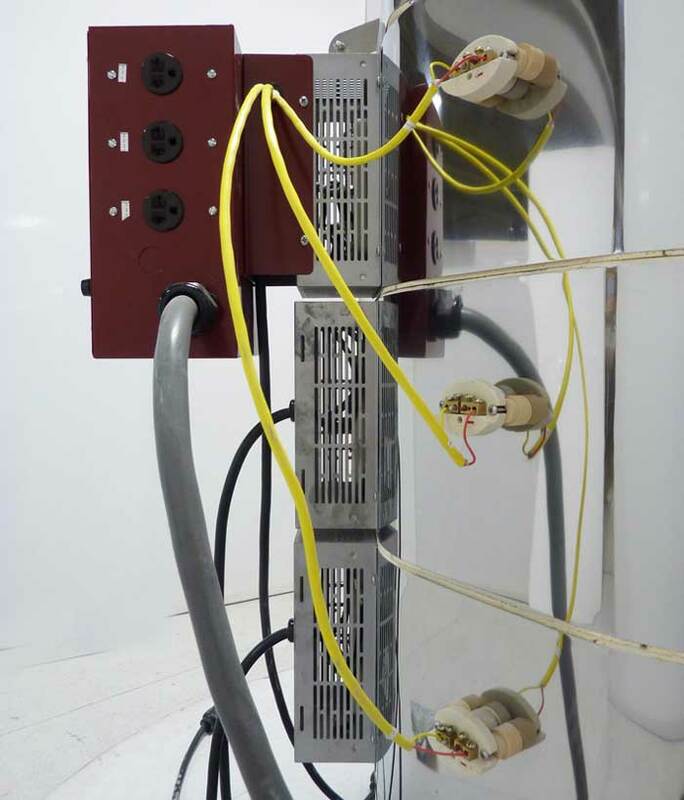 For instance if you are buying a JD230 three circuit panel with a JD245 five circuit panel you would subtract the price of the Jupiter three circuit panel from the price of the Jupiter five circuit panel and add this difference to the price of the kiln. If you are anticipating changing a JD230 to a JD236 or JD245 you will need to order a larger panel up front. This gets a bit more complicated if you are getting or planning to get a powered bottom with an automatic kiln. This is because the wiring for the powered bottom is slightly different on automatic kilns (i.e. where it gets its control output from) and you would not plug a regular section into the powered bottom circuit or vise-versa. Consult factory if you have specific questions.